If you are planning a trip to Morgan Hill, there are many exciting tourist attractions within the area that are fun for all age groups. Anderson Lake County Park offers 4,275 acres of recreational land that is perfect for hiking, cycling or fishing, and bird watching. Henry Coe State Park is another favorite destination offering over 87,000 acres of open rugged terrain ridges and steep canyons. Henry Coe State Park is open year-round for hiking, backpacking, mountain bikes, and nature lovers. An additional gem found in Morgan Hill is its wineries. Wine enthusiasts from across the globe recognize the family owned and operated wineries that are emerging from Morgan Hill like Morgan Hill Cellars, Emilio Guglielmo Winery, Ross Vineyards & Winery, Castillo’s Hillside Shire Winery, Sycamore Creek Vineyards & Winery, Hill Road Vineyards, Emma Lily Vineyards and more. Guests can also visit http://www.morganhill.org to learn about events happening in the area. In addition to the vast parks and wineries, Morgan Hill offers visitors a wide variety of retail and boutique shops, trendy bars, popular restaurants, and coffee shops. 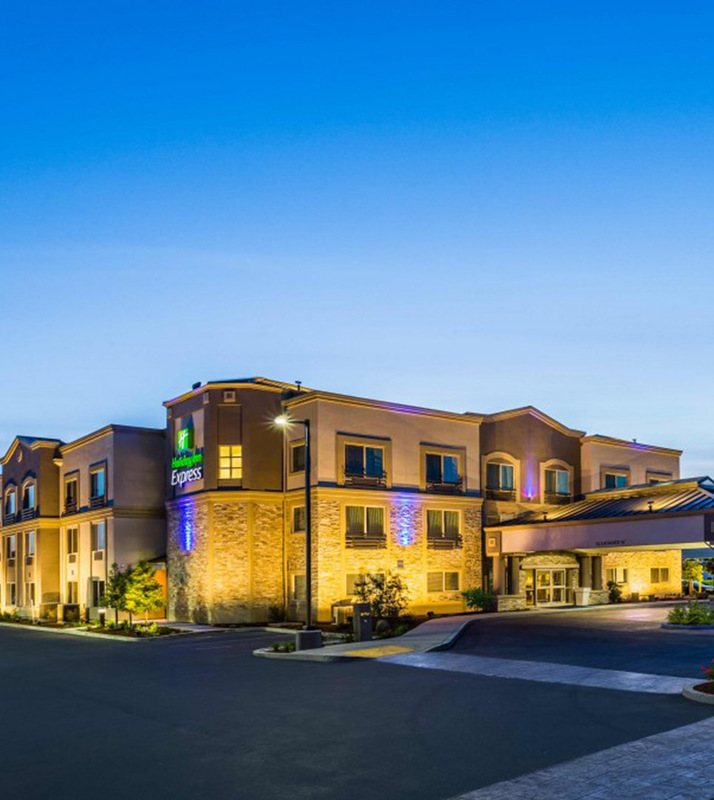 Holiday Inn Express Morgan Hill is just 2.4 miles from Big Oak Ranch, 2.7 miles from Anderson Lake County Park, and 12 miles from Henry Coe State Park. Holiday Inn Express Morgan Hill is a favorite among travelers offering excellent customer service and fantastic rates. Book direct at www.hiemorganhill.com for the best prices.